Mills use rotating tools to cut material into almost any 3D shape. CNC Mills can work with tight tolerances. Waterjets mainly cut sheet material into 2D parts using a high-pressure stream of water and abrasive. Waterjet cutting is suitable for most materials and yields clean edges. CNC Lathes feed cutting tools into rotating material. Turning is mainly used to produce precise, cylindrical parts. Die-Sink and Wire EDM machines create parts by using recurring sparks to remove material. Recommended for intricate designs requiring sharp inside corners and high dimensional accuracy. Laser cutting is often used to produce 2D parts from sheet metal. A laser beam vaporizes a cut path to achieve the desired shape. Great for prototypes and short runs. CNC Turret Presses create 2D parts by rapidly punching predetermined shapes into sheet material. 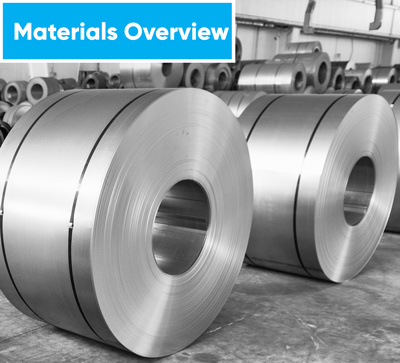 Cost-effective for production runs of simple metal parts. Injection Molding produces parts by forcing molten polymer material into a mold. It’s the most economical process for producing high volumes of plastic parts. 3D Printing (aka Rapid Prototyping) is an additive manufacturing process. It’s often used for testing designs and quick-turn low-volume 3D parts. Rubber Compression Molding creates parts by pressing a heated block of rubber into a mold. Ideal for making high volumes of simple rubber parts. CNC Plasma Cutters use a high-velocity stream of ionized gas to cut parts out of sheet metal. Excellent for producing 2D parts when working with thick metal sheets. After manufacturing, parts may require additional processing. 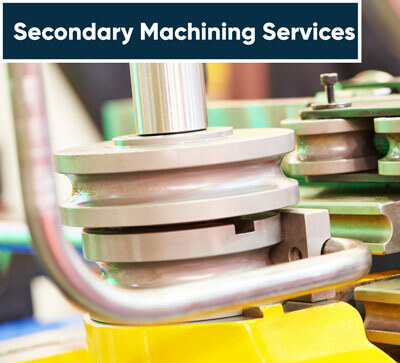 Secondary services include CNC bending, grinding, tapping, knurling and more. 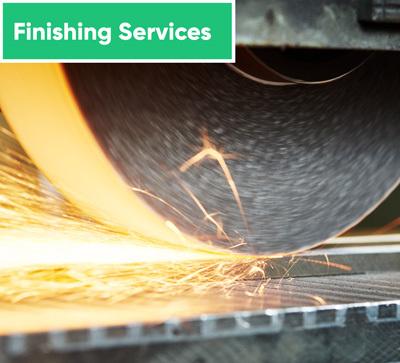 Finishing processes are used to enhance appearance, surface durability, and corrosion resistance. Options include powder coating, anodizing, plating, polishing and more. 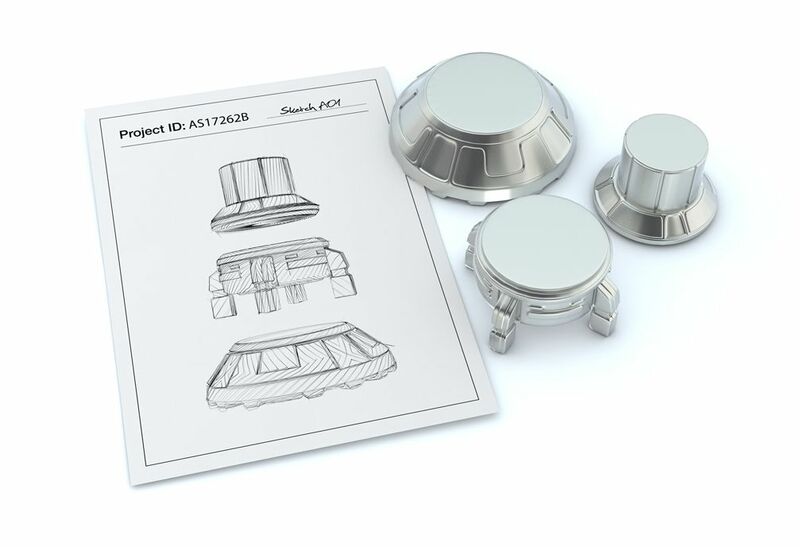 We accept CAD files from all of the most popular CAD packages including SolidWorks, CATIA, Fusion360, AutoCAD, Inventor, Rhinoceros, NX, PTC Creo, Alibre, OnShape, and more. 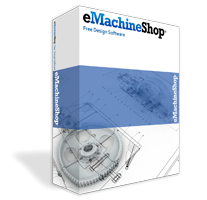 eMachineShop's feature rich CAD software is connected directly to our manufacturing facility. 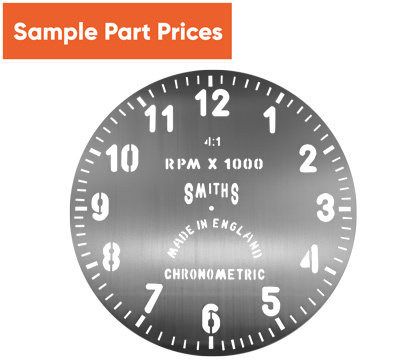 Design, analyze, price, and order parts in minutes. You can trust eMachineShop to deliver quality parts that meet your specifications. In the unlikely event of a non-conformance, we'll happily repair or remake your parts.